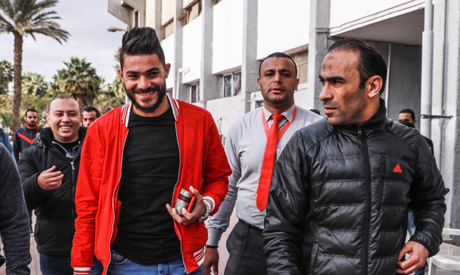 Smouha’s defender Yasser Ibrahim has signed a four-and-a-half-year contract with Ahly, the Cairo club announced via their official website on Monday. As part of the deal, Ahly’s midfielder Amr Barakat will join Smouha on loan for one year and a half. The financial details of the deal have not been released yet. Earlier today, before the club officially unveiled the signing, the photos of the 25-year-old solid center-back on the club's grounds had spread through the media. Ahly have been very active during this January transfer window in an attempt from the club's management to inject some life into what has been a fraught campaign in the local league this year so far. Ibrahim is Ahly’s sixth January signing after winger Hussein El-Shahat from UAE club Al Ain; winger Ramadan Sobhi from English side Huddersfield Town; midfielder Mohamed Mahmoud from Wadi Degla; left-back Mahmoud Wahid from Maqassa; and winger Geraldo da Costa from Angolan side Primeiro de Agosto. The Cairo giants have also appointed Uruguayan tactician Martin Lasarte as new team coach last month, hoping he would steady the ship. Ahly currently sit sixth in the league standings with 24 points, 17 behind table-toppers Zamalek who have played three more games.